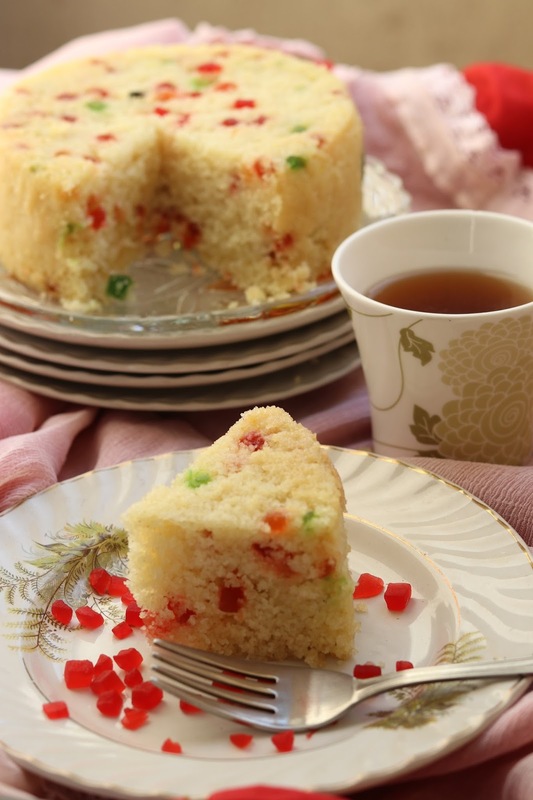 Learn how to make sooji cake recipe in a pressure cooker. 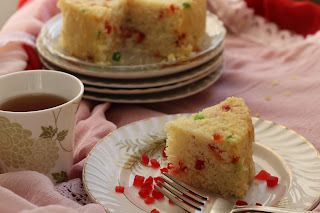 Semolina cake/ rava cake is simple eggless cake recipe which can be easily made without oven or an airfryer. 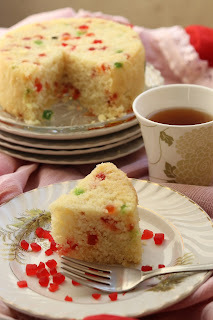 This is a perfect tea time cake which is healthy and simple to make. Not much fuss involved. 1. In a bowl mix all ingredients together except baking powder, soda and tutti frutti. Allow the batter to rest for 15-20 min. 2. Meanwhile grease the baking dish with oil. 3. Prepare the pressure cooker. Boil 2 glasses of water and keep a stand in center. 4. After resting, add baking powder, baking soda and tutti frutti. Pour the batter into greased tin and tap to level the batter. On top sprinkle few tutti frutti. 5. Place the cake tin on stand in the pressure cooker. Ensure that the water is boiling before you place the tin. Remove the whistle and gasket from the cooker lid and cover the lid of the pressure cooker. Bake the cake on slow flame for 20 min. With help of toothprick, check if the cake is done. Once done, cool down the cake in the pressure cooker itself. Then remove from the pressure cooker. 6. Once completely cooled, loosen the edge of the cake with help of knife and flip over the cake on another plate. 7. 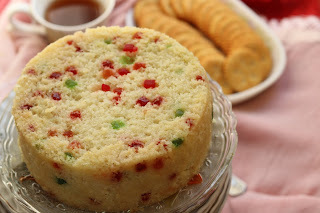 Soft and moist rava/ sooji cake is ready to serve. Carpet cleaning service in indianapolis are to be sure a standout amongst the most critical things that we can discover in our homes. This post is not relate anything but your skill of posting and writing is really good, share something related to kitchen tuts. http://kitchentuts.com/ here you see the sample. InstaPot works as a slow cooker, rice cooker, egg cooker, Saute/Browning, Yogurt Maker, Cake maker, Steamer, Warmer and Sterilizer. With all these features, it is one of the best pressure cookers available on Amazon.